Did you catch that? 40-50% of couples divorce!! And that doesn’t even include subsequent marriages. Now, to be fair, divorce rates among dedicated Christians is significantly lower. However, this figure highlights an important point: Marriage is challenging! 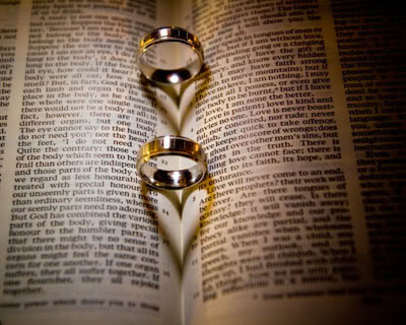 God’s Word has a lot to say about marriage. It sees the ordinance of marriage as a picture of our relationship with God (Eph. 5:22-32), it speaks on the sanctity of marriage (Ex. 20:14), and it reminds us of the care that God places on marriage (Mal. 2:16). However, even though we know these truths about our marriage, we sometimes fail to give our marriage the attention it deserves. Marriages in the church can easily find themselves on the rocks because they stand as an easy target for the enemy. As we get accustomed to living life with our spouse things become ‘normalized,’ life gets busy, and the thing that gets pushed to the back burner is frequently our marriage. Then, the enemy comes in and begins to sow seeds of discontentment, unhappiness, and strife. Attacks on marriages can incapacitate the church and her mission, as such, when they are weak they become easy targets. Marriages, like any other relationship, are always in a process of incline or decline. There is never a ‘neutral.’ In other words, you are either working to enhance your marriage or you are doing nothing and your marriage is slowly unraveling. Sometimes, we don’t even realize that it is unraveling until it is too late. These very basic observations should cause us to act. They should cause us to strengthen the perimeter and not give the enemy a foothold in our marriage. It should cause us to put time and attention into our home and prioritize strengthening our marriage. Working on a marriage begins with working on yourself. You can never change your spouse, you can only change yourself. So go into action. Consider what it means to be a Godly husband or wife. Think about how well you implement biblical principles in your marriage, like 1 Cor. 13, or Phil. 2. And try to be the best spouse possible by being concerned with meeting your wife’s or husband’s needs more than your own. Spend time talking and reading . . . together! Pick out a book and read it together over the span of two months, then talk about how you can implement some of the principles in your marriage. There are a number of good books in our library, check them out! Prioritize your marriage. We have a tendency to let the world dictate our schedules. Sometimes we let school, work, and sports tell us when we are available to work on our relationship with God and our spouse. What we don’t realize until it is too late is that these things (school, work, and sports) are temporary, and they will use us and spew us out in a few years when we get too old or too slow. We have to make the relationships that matter a priority in our life. Our priorities should begin with God, then extend to our spouse and children. It is too easy to allow life to get busy and continuously assume that our spouse will be there after the busy period. That approach will only lead to disaster. Set your priorities straight, love your spouse, and always make efforts to enhance your marriage! !